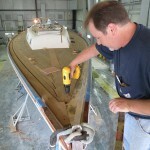 Gary from our Carpentry Shop carefully installs a custom manufactured new teak deck for this custom built sailboat. 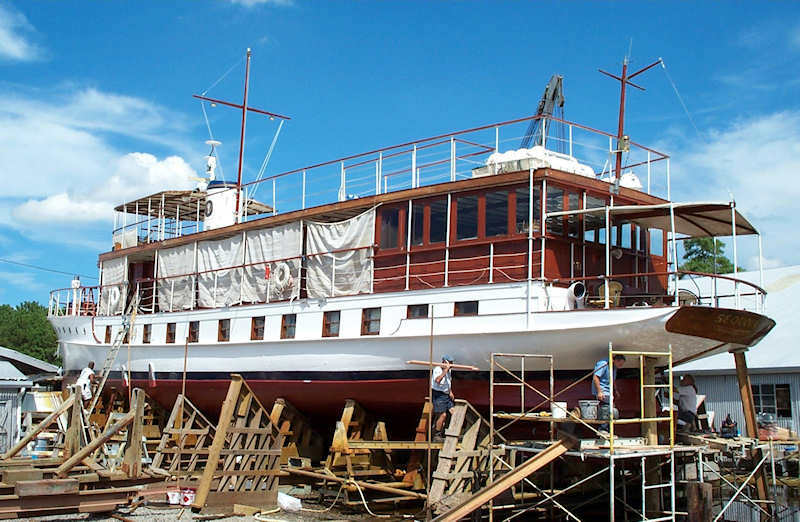 AYB enjoyed the opportunity of removing the full upper helm enclosure of this beautiful 65' Huckins to bring it back to its original design. 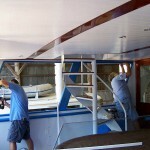 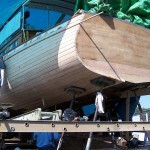 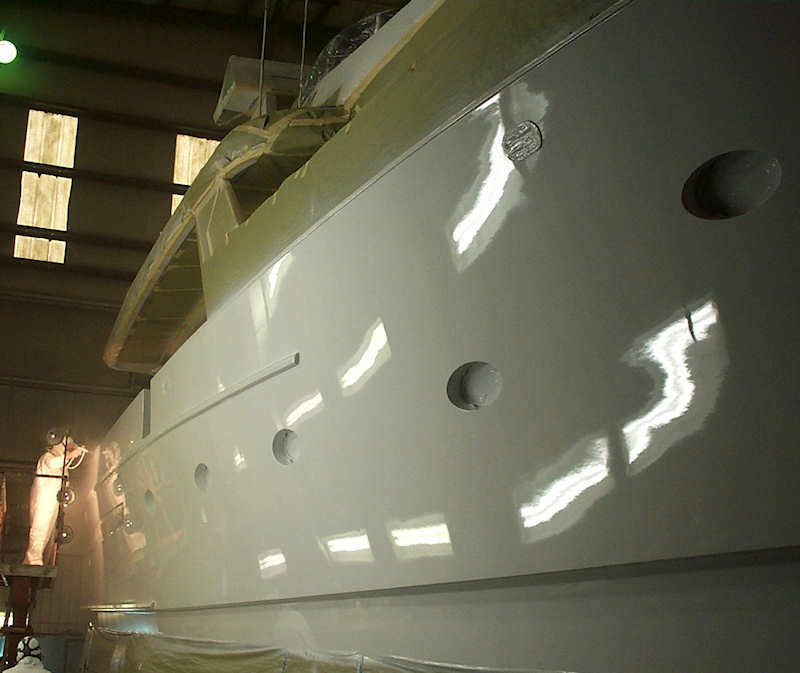 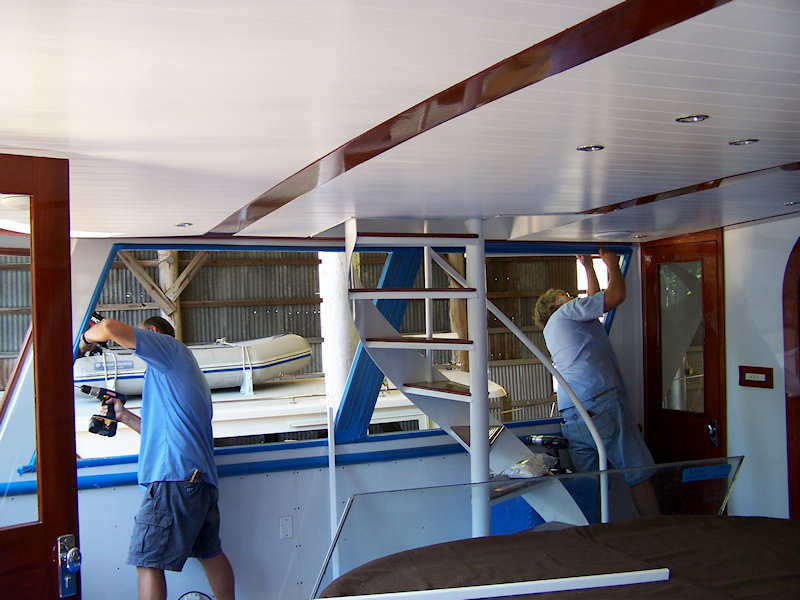 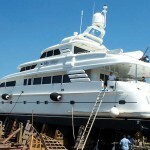 AYB replaces the frames and glass windows in the aft enclosure of this 108’ boat built by Burger Boat Company. 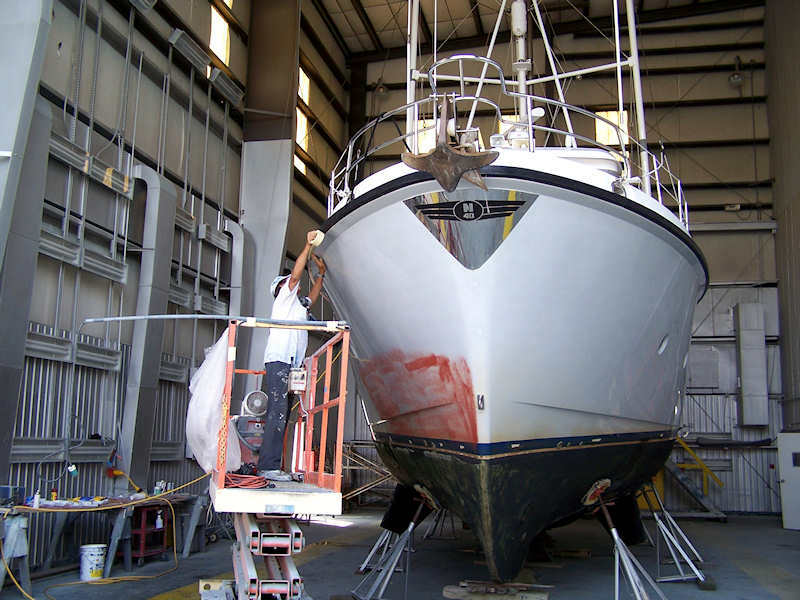 AYB services many Nordhavns year round. 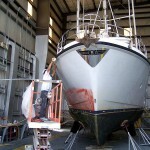 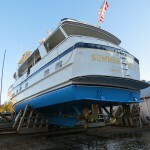 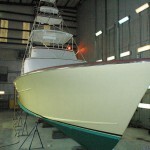 Bruce and his paint shop are preparing the hull side of this 40’ vessel for a full paint job. 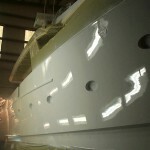 The customer requested Awlcraft 2000 for the finishing coat. 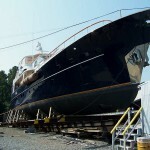 Atlantic Yacht Basin meticulously restored the former Presidential yacht, SEQUOIA, the historic 104-foot, 1925 Trumpy-designed yacht that served from Hoover to Carter. 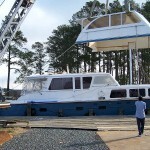 We continue to service this unique piece of American history and D.C. based working charter every year. 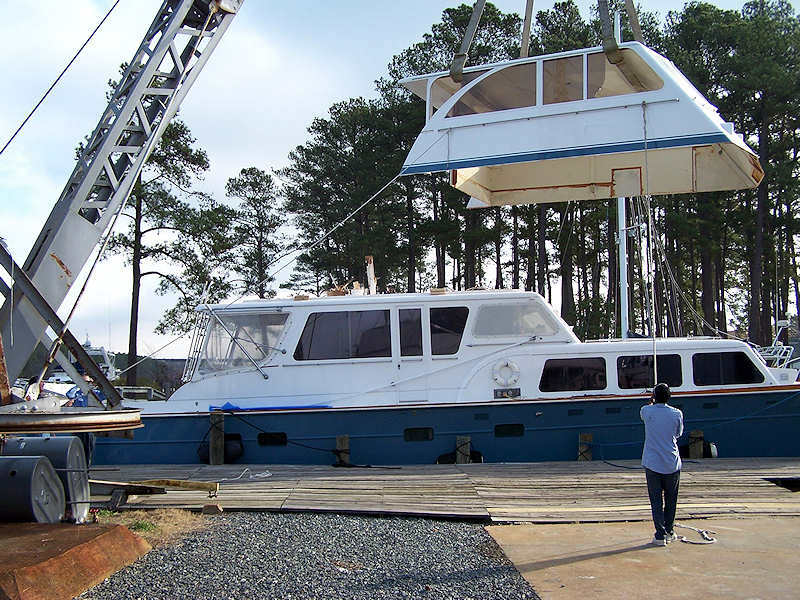 Each year, Russell and his crew have the opportunity to haul large boats like this beautiful Burger yacht to inspect the running gear and thru hulls, and apply antifouling paint. 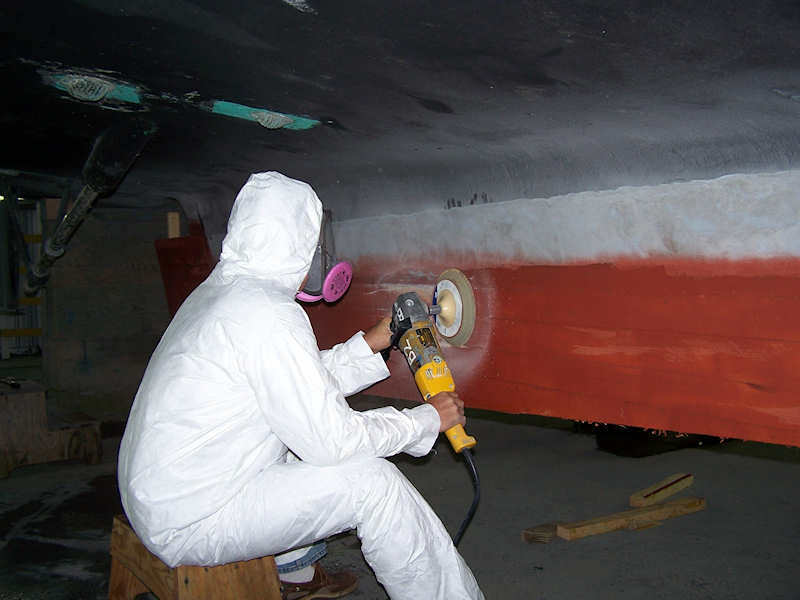 Our Hauling Crew works closely with our Machine, Paint and Carpentry Shops to ensure that annual maintenance and repairs on large vessels like SUMMER GIRL go off without a hitch on our 300 ton railway. 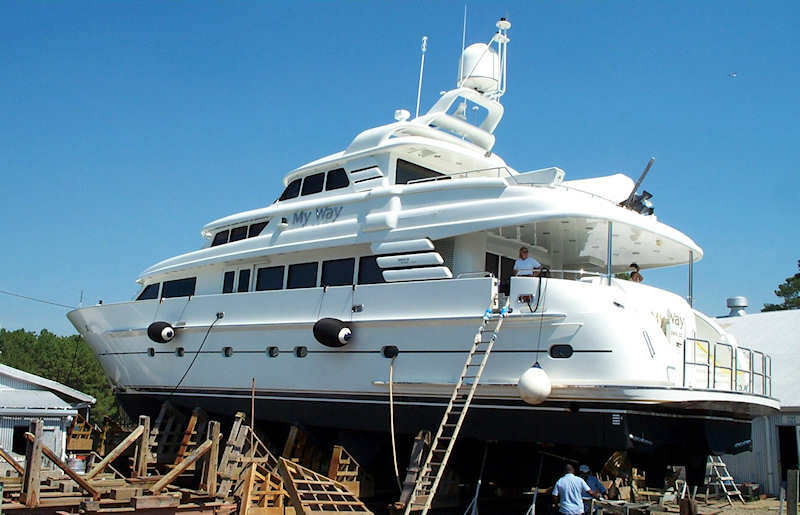 This beautiful Cheoy Lee returned for a haul out for routine maintenance including the inspection of its running gear and application of antifouling paint. 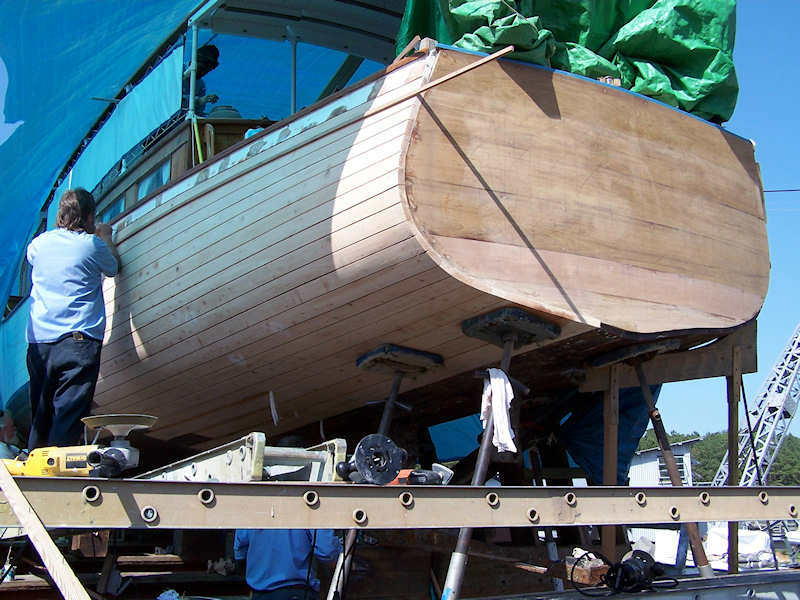 Our Carpentry Shop carefully restores the beautiful ESPERANCE, designed by Stephens Brothers. 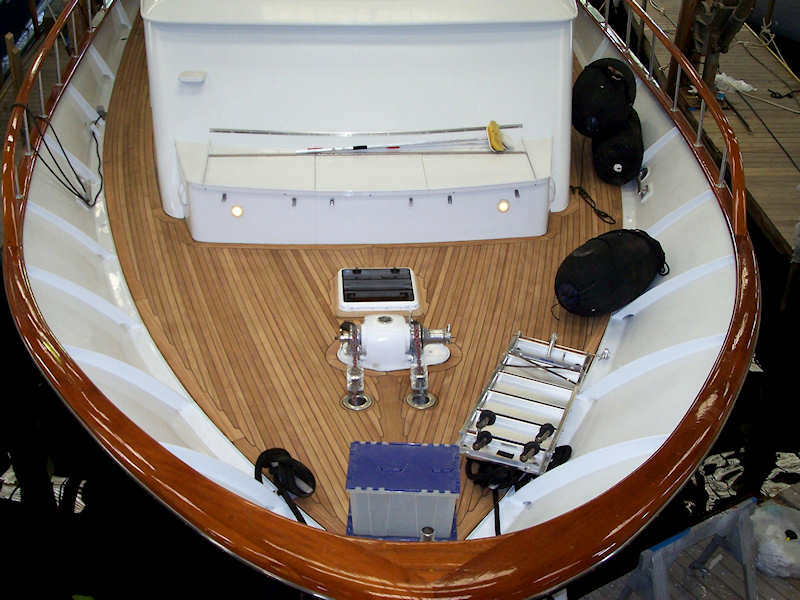 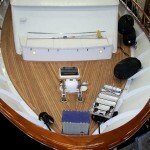 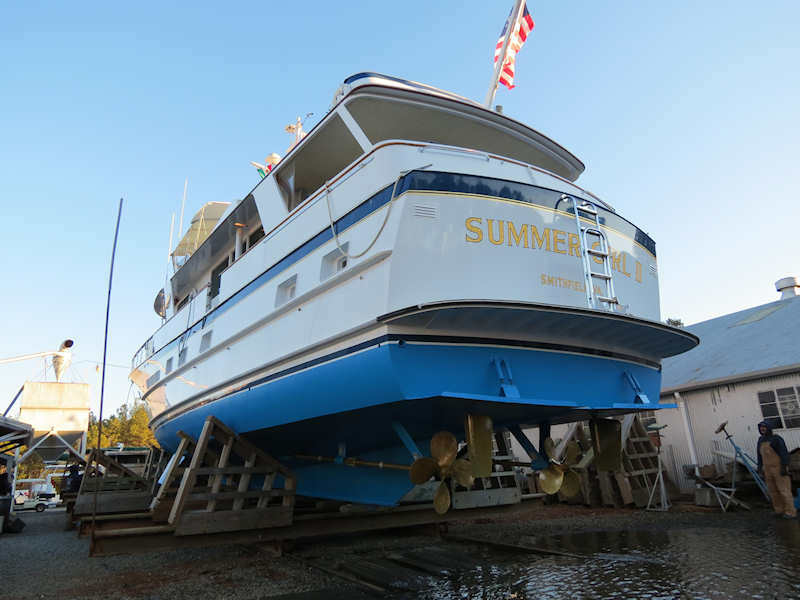 AYB installed this new deck among many other improvements in the large-scale update of BRAVEHEART, an 84' built by Burger Boat Company in 1986. 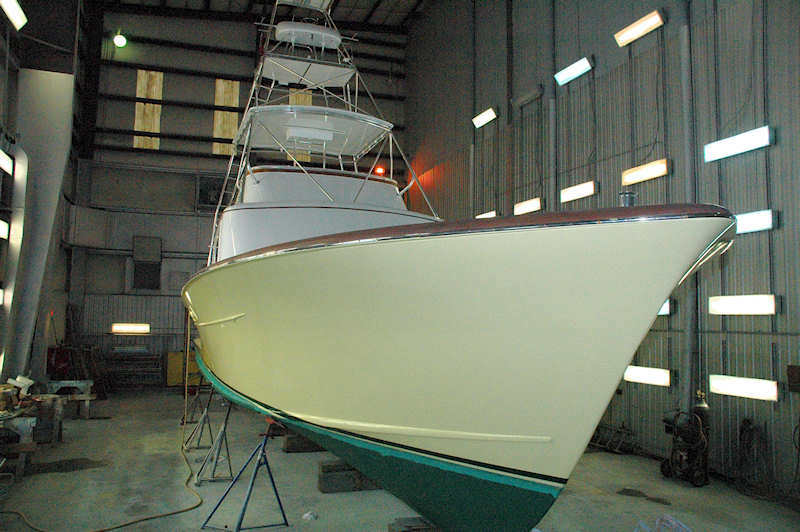 This 48' sport fishing boat, custom built by Graves, gets a custom paint job in our twin-bay, climate controlled building. 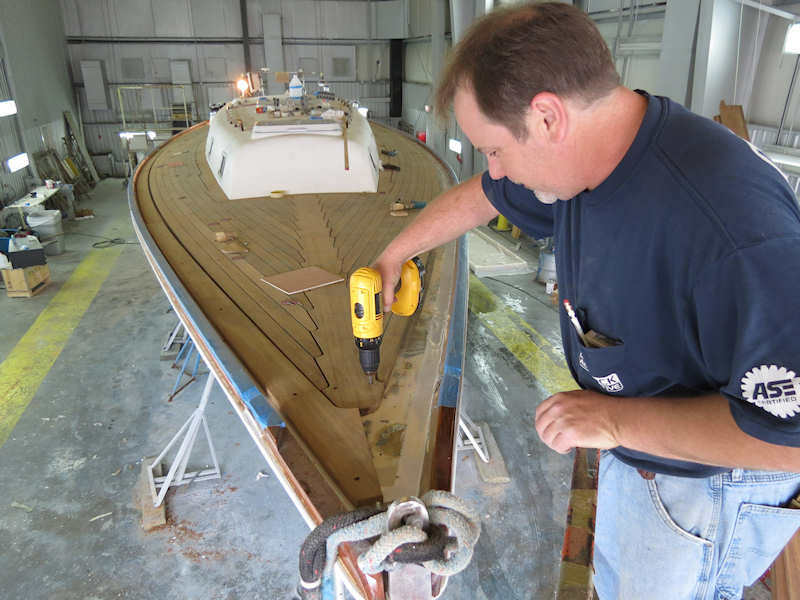 Working with design plans and AYB's careful engineering, Brett and his crew are doing a custom modification rebuild of the keel on this vessel. 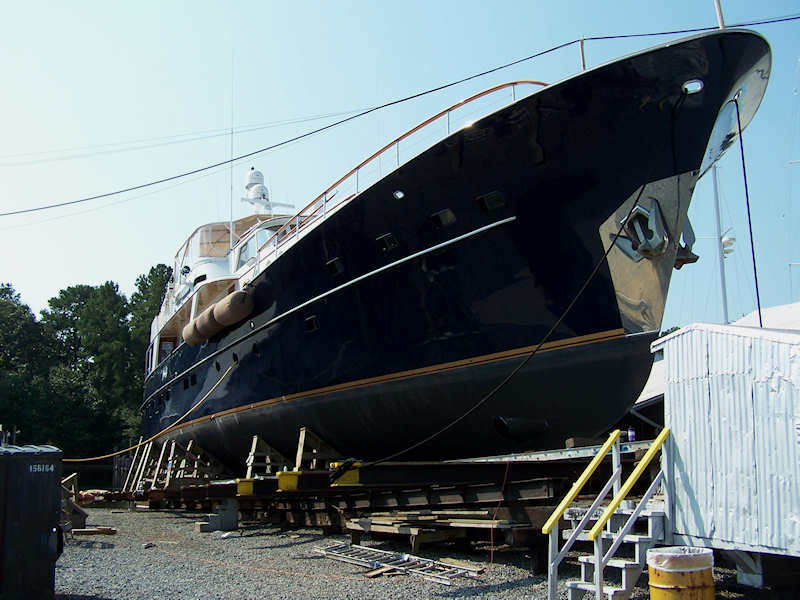 AYB does large scale overhauls on vessels like this 70' built by North Coast Boats for owners looking to protect the value and enjoyment of their yachts. 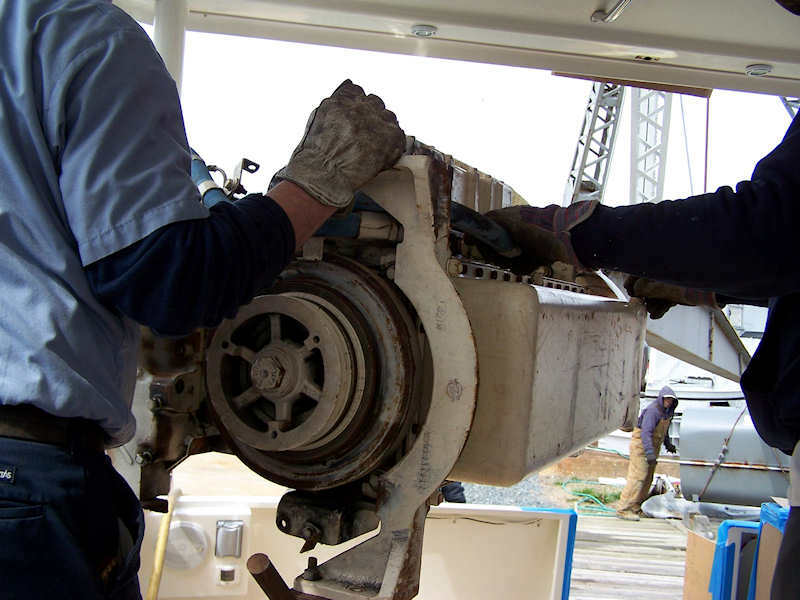 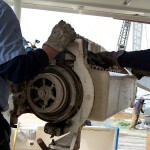 AYB’s certified mechanics are in the process of removing engines from a 48’ Ocean with Cummins 450s C series. 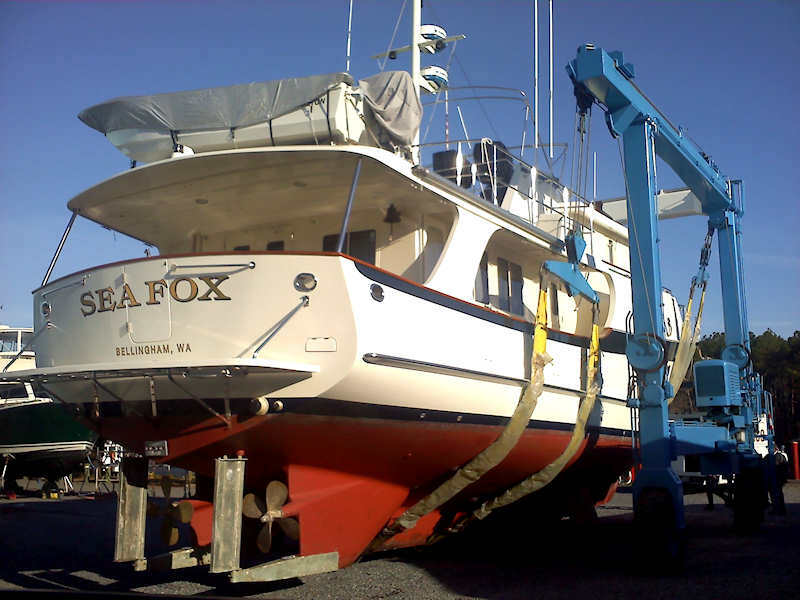 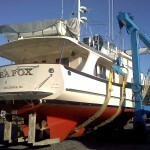 AYB services stores and services boats from all over the United States and around the World like the SEA FOX, a 58' Kadey-Krogen 2008 being prepared for a cruise up the eastern seaboard to Maine.